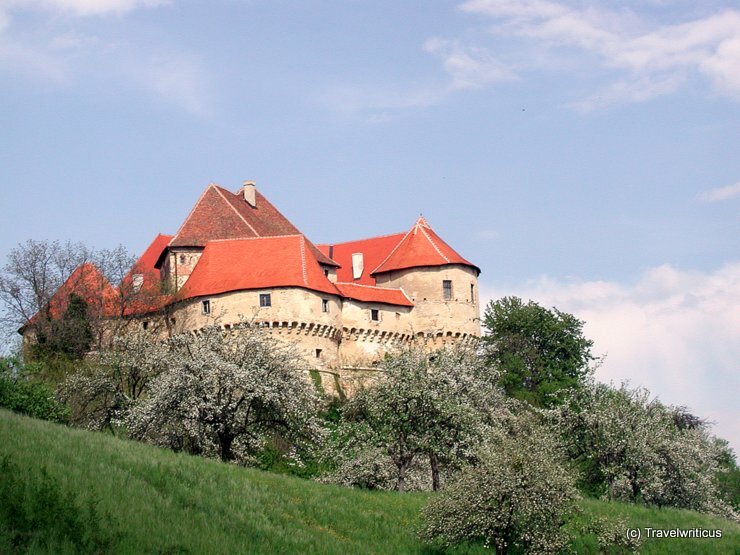 Veliki Tabor Castle (Grad Veliki Tabor) on a sunny spring day. The oldest part of this castle is a five-cornered tower which was built in the 12th century. The Croatian painter Oton Iveković owned the castle from 1927 to 1935.